GUE Fundamentals is coming to the New England area as Mer returns to her original stomping grounds in summer 2019. So far, all of the interest has been June and/or PA. Current opportunities are 3 classes at Dutch Springs, PA.
All classes are capped at a team of 3 students. 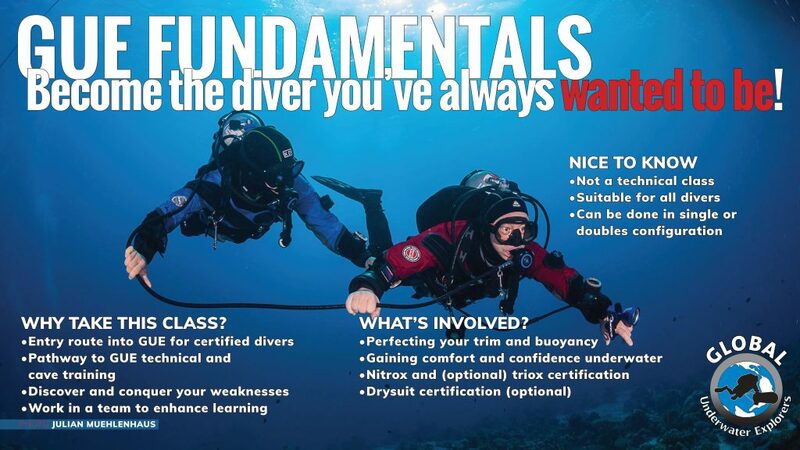 Seats have been scooped up fast, email mer@wetrocksdiving.com to see if Fundies is right for you. Dutch Springs is a quarry that is set up for diving and central to DC and NYC metros and even much of Southern New England. This entry was posted in Education and tagged Fundamentals, fundies, GUE, Mer, northeast, PA, quarry tour, training by Mer. Bookmark the permalink.